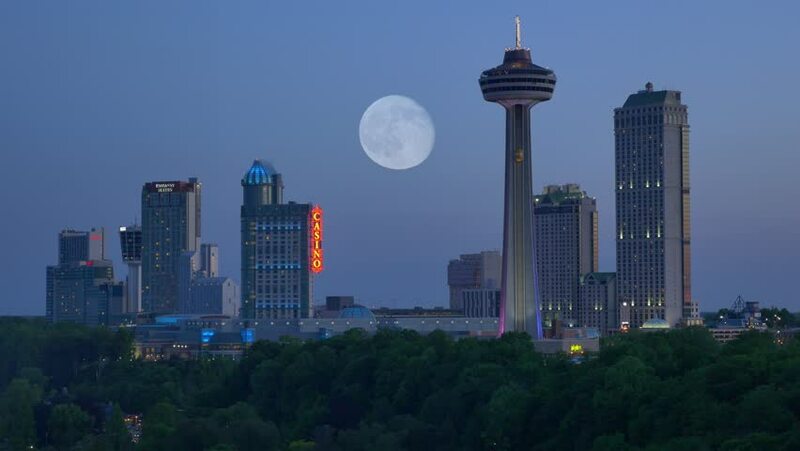 NIAGARA FALLS, CANADA - Circa June, 2014 - The full moon over the skyline of Niagara Falls, Canada. For editorial use only. sd00:13Seattle's Space Needle towers above the skyline. 4k00:12ASTANA, KAZAKHSTAN - JULY 06, 2016: time lapse of Bayterek tower illuminated at the night in downtown of Astana city, capital of Kazakhstan on July 06, 2016. Canon 5D MkII.